Well, it’s not every day this happens! My partners and I are delighted to announce that Jigglar has been nominated as a finalist for the 2018 Inman Innovation Awards in San Francisco this July. There is some very impressive competition so this is a long shot but a nomination like this is a big deal for us. It also shows the power of an idea and how surrounding yourself with the best people can help you achieve huge goals. So who are those ‘best’ people? There’s no way this could have ever happened without the brilliant development work of Josh Kohlbach and his team of developers at Rymera in Brisbane and John Banitisiotis and his team of gifted creatives at Media Mojo in Noosa Heads. You can have the best dev team and the most amazing graphic designers in the world but unless you can make that connection with your market, it’s all for nothing. My partner at Lockedon and Bestagents, Aaron Shiner sprinted out of the blocks from day one and hustled hard to reach out and connect with the real estate community and it’s these agents that probably deserve the biggest thanks. As a partner at Lockedon.com and Jigglar, I’ve witnessed the way successful real estate agents are quick to leverage new technology, try a new idea and embrace it when it works so I’d like to say a very special thanks to our rapidly growing army of Jigglars. We love the way you guys push us to create fresh ideas to help you win more listings, make more sales and also save a heap of money on graphic design in the process. This nomination is for YOU! Here’s the email I received today from Brad Inman. Congratulations! 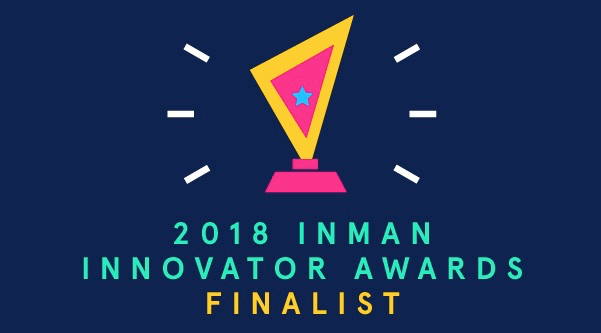 You have been chosen as a 2018 Inman Innovator Award Finalist in the Most Innovative Real Estate Technology category – https://www.inman.com/2018inmaninnovatorawards/#jigglar. The Innovator Award winners will be announced live at INMAN CONNECT In San Francisco the morning of Thursday July 19 at 8:30 am, and we’d like to invite you to have a front row seat. Prior to the awards ceremony, Innovator finalists who attend will have the opportunity to participate in a roundtable at 8:00 am during our Innovator networking hour where you can share your secrets of success with this year’s Inman Connect attendees. The fun and perks of being an Innovator finalist don’t stop there! Later that night, we’d love for you to join us for this year’s 2018 Innovator Bash where we will be celebrating all of our nominees and winners – celebrating YOU! Make sure to purchase your Innovator Bash ticket early so you don’t miss out on a night of fun and celebration! In addition, we would like to also extend an invite to this year’s Inman CEO CINNECT being held Thursday, July 19th. This is a very exclusive, invitation-only event. Here we will dive deep into the leadership vision required to anticipate and handle today’s challenging business landscape. Once again, congratulations on being an Inman Innovator finalist! And we look forward to seeing you soon in San Francisco. Congratulations….what a great experience to be in the first seats in San Fran at Inman.